Available to download onto both iPhones and android devices, the new app ‘AUB MyVoice’ provides AUB customers with a fast and convenient outlet not only to raise any pressing issue or complaint directly and reliably with the Bank but also to track its status and view its entire history. Once downloaded, the process of reporting an issue to the bank through the app is very straightforward. By simply entering their account number, AUB customers will receive a onetime password on their mobile phones to authenticate their request. Once logged-in, customers will be prompted to choose the appropriate category from an exhaustive list of potential issues, ranging from account maintenance to credit card issuance to loan applications, as well as provide a brief description of the issue at hand. Prospective AUB customers can also share feedback on their experience with AUB services by providing their mobile number and basic contact details. The app supports the use of both the English and Arabic languages. Submitted feedback are received and acted upon by a dedicated team at the Bank for resolution and reporting back to the customer within the shortest possible delay. 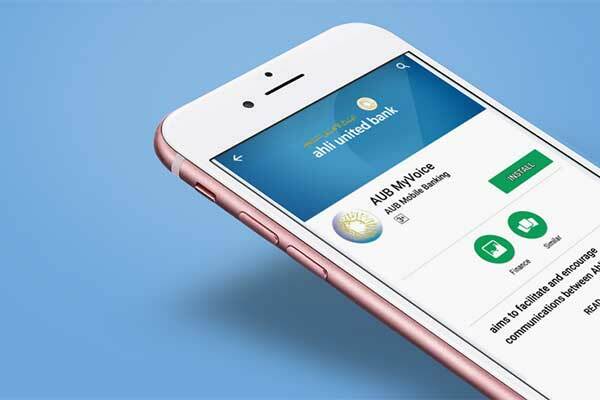 The new app is in addition to the usual means of communicating with AUB, whether in person, by phone or email, or through the customer feedback section on the Bank’s website.